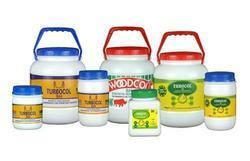 We provide superior quality of Cold Water Resistant Wood Adhesive. 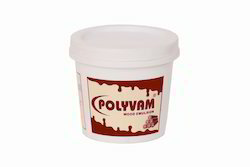 These adhesive are extensively used for gluing wood with wood, wood-base materials and laminates. With keen obligation towards supremacy, we are able to offer a comprehensive gamut of Wood Adhesive. These provided products are hugely acknowledged and market owing to their long lasting nature and accurate composition. Appreciated massively owing to their exceptionality, these presented by us at most reasonable rates. Wood adhesives, contact adhesives, hot melt adhesives, pipe cements, panel grabs. - High Quality Synthetic Resin Adhesive for bonding wood, plywood, block board / hardboard, laminates, veneers and MDF to each other. We are the leading company of Wooden Adhesive. These products are made employing the best quality input and advanced techniques. We have in store for our customers, optimum quality Woodgrip that are procured from the certified vendors of the industry. These woodgrip adhesive is used for bonding wood, plywood, laminates and veneers, particle board, block board, hardboard, MDF to each of the substrates.